I know you’ll find this hard to believe, but despite my boyish good looks, I’ve got quite a few miles on the clock. If I were a diesel, I’d probably be a prime candidate for the latest scrappage scheme. Over the years, I’ve been lucky enough to run a lot of long-term test cars. I've covered little city cars, big brash-looking SUVs, and most things in between. 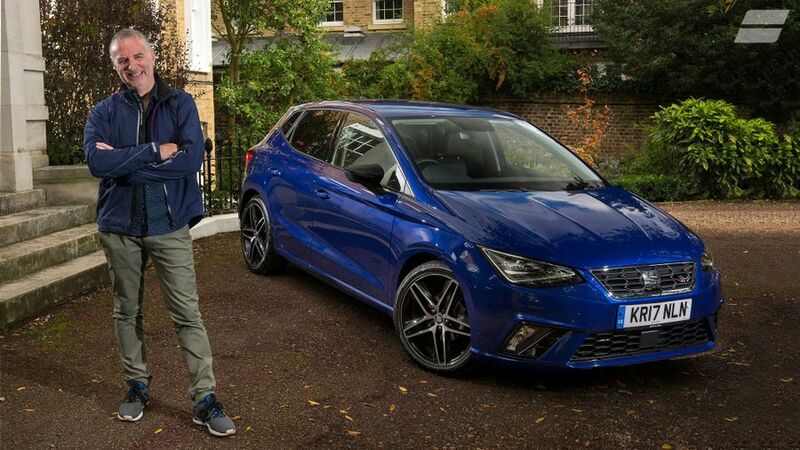 So when the steering committee at Auto Trader suggested I take charge of Seat’s latest Ibiza supermini, in many ways, it felt like I was starting all over again. I haven't got anything against small cars though. Any manufacturer that can build a great supermini out of basic ingredients instantly gets my stamp of approval, and the Ibiza is definitely one such car. For starters, with just a couple of embellishments – metallic paint, Alcantara (faux suede) upholstery and 18-inch alloy wheels – it looks far more expensive than it is. As well as feeling exceptionally well made, it drives with a maturity that instantly makes it feel like a car that is from quite a few classes above. My Ibiza is fitted with a 1.0-litre three-cylinder engine, but I will be amazed if it can achieve the 60.1mpg Seat reckons is possible. The three-cylinder engine does help with weight reduction too, and less weight up front should make the car more agile. Early impressions suggest the Ibiza is nippy enough through twisty corners. And when you rev the engine, it’ll zip along at a decent rate. It helps that the engine is boosted by a turbocharger. Although there’s a decent low-end pull, I can’t resist revving the engine quite hard, and when I do, it is quite noisy. However, the engine is really smooth. The same can’t be said for ride quality. With the sports suspension and 18-inch wheels, the ride is on the firm side. I’ll be interested to see over time if this bothers me more, or if I simply learn to live with it. You hear about it, you read about it, it’s even on the telly from time-to-time, but you never really expect it to happen to you. I’m talking about car cloning. 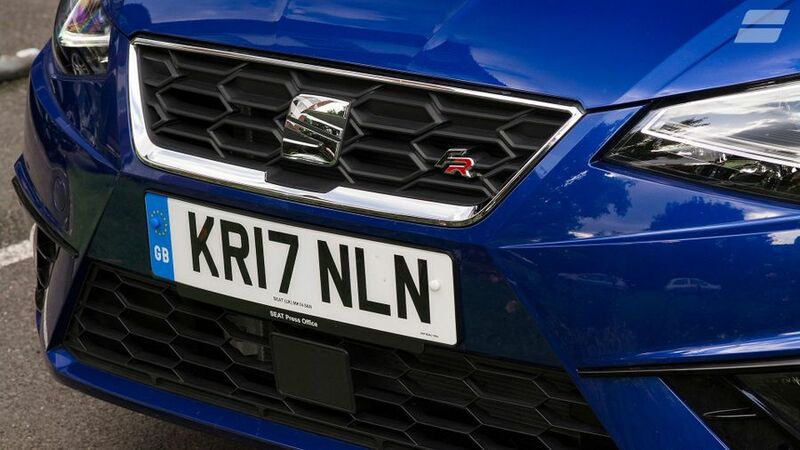 Although it’s supposed to be impossible to purchase a set of number plates without having the appropriate documentation, cloning is still happening. I know this only too well because it has happened to me. I have no idea how it’s happened, but what I do know is that KR17 NLN was recently captured on camera absconding from a petrol station near Stoke-on-Trent with a full tank of unleaded that hadn’t been paid for. Fortunately for me, our car is registered to Seat UK, so I escaped a late-night knock from the boys-in-blue. Instead, a polite lady from Seat phoned me to tell me she had spoken to the Police and had smoothed things over. However, the bad news is, until the perpetrators are reprimanded, my car will remain on the Police central computer as a vehicle of ill-repute, albeit one with a note against it saying, ‘possible cloning incident’. Sure enough, two days later I found myself boxed in by a patrol car and confronted by two of the Met’s finest. To be honest, they couldn’t have been more courteous and once they’d checked the vehicle identity plate behind the Ibiza’s windscreen married up with its number plates, they wished me God-speed, although not before telling me there was every chance I’d be bumping into some of their colleagues in the not too distant future. On the bright side, if this continues, maybe I’ll get an invite to the Met’s Christmas party. The Ibiza is going strong and I’m really enjoy the way its polished driving manners make light work of every journey, even if there are a couple of things that aren’t entirely to my liking. My first niggle is around the fuel consumption. If the bad lads who cloned my plate are reading this, I can tell them, they won’t get too far on the petrol they nicked, as the Ibiza is currently only returning around 43.7mpg. That’s well short of the 60mpg Seat reckons it’s capable of. Next up, the air conditioning. Towards the end of the summer I’d noticed it was struggling to cool the cabin sufficiently. And it’s not just on short runs. 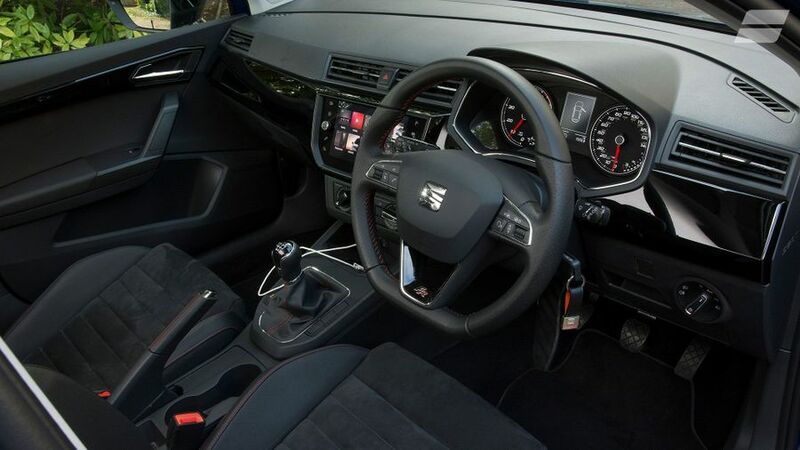 Even when doing a few hours on the motorway, with the dial jammed in the blue zone, the Ibiza’s cabin never got cool enough for my liking. On top of this, the ventilation system is too readily invaded by the smell of exhaust fumes when I’m trundling along in heavy traffic, so I find myself using the re-circulating function far more than I have with any previous car I’ve owned. The hand brake is pretty weak too. 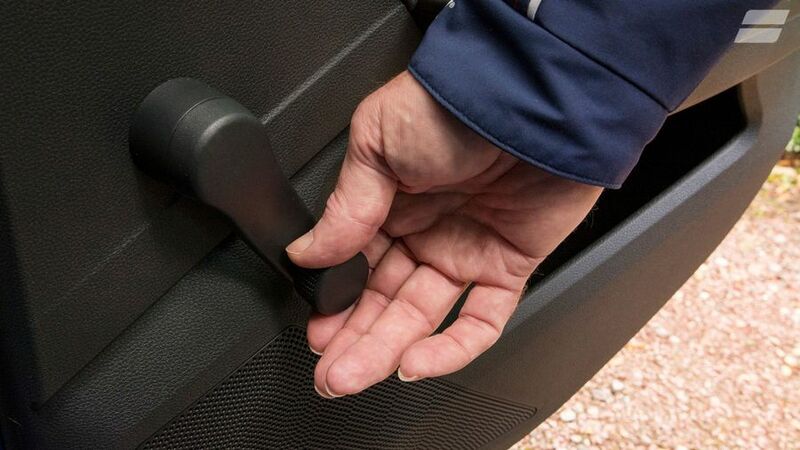 When I pull it with all my might – granted that’s not that much – it won’t bite sufficiently to hold the car when parked on a hill. 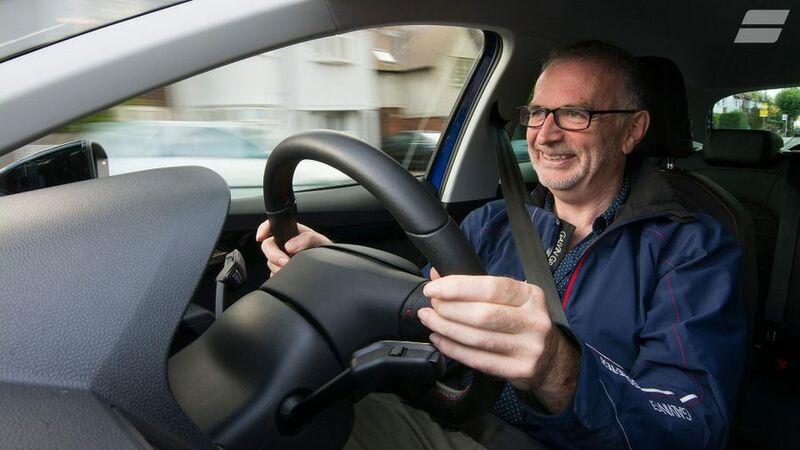 It probably just needs adjusting, so I’ll continue to leave the car in gear as a safeguard until I find time to book it in to my local Seat dealer, to sort it and the air-con’s deficiencies. I’ll also get them to have a look at the power steering, as it has started to make quite a pronounced grumble when I apply full lock, which is quite a lot of the time when you live in north London. One irritation that can’t be fixed is the lack of boot space. 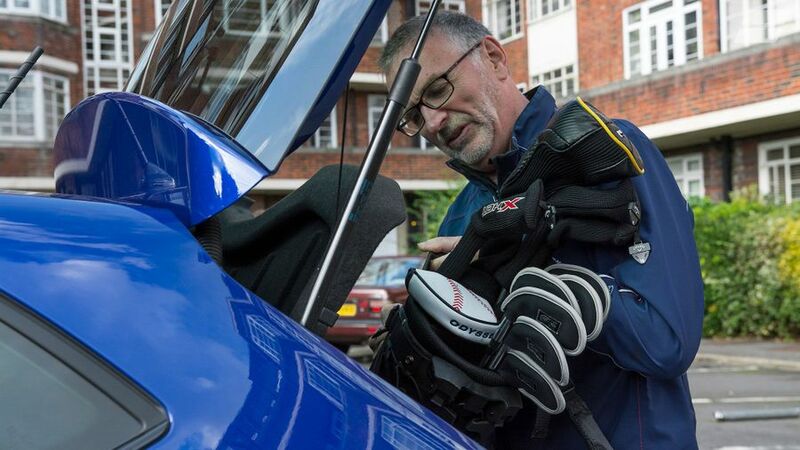 Yes, you can fit a set of golf clubs in, but only if you own a lightweight carry bag. Even then, I have to drop one of the rear seats and squeeze my bag in diagonally before folding the rear seat back up again. While it’s a bit annoying, I can keep my precious irons out of sight from the type of person who spends their days dreaming up ways of not paying for petrol! It’s a new month, and I’ve been given the keys to the Ibiza. It was just too much of a risk for Pete to drive any more with a huge *WANTED* sign over the car’s head… of course I’m joking about that, but I have already found myself being extra wary on the roads. I’ve never been stopped by the police… and I don’t intend to start now thanks to some reprobate cloning the numberplate and going on a petrol stealing spree. So far, so good. I’ve been getting used to the Ibiza and all of Pete’s choices. So the car is in Mystery Blue metallic, which costs £530, and is the most popular colour. It looks really smart, and I probably would have chosen it myself if I was feeling myself. The only no cost option is a more muted non-metallic Mediterranean Blue, which does still look pretty good. Along with the most popular colour, Pete also picked the most popular engine – the 1.0-litre petrol with 95 horsepower and a manual five-speed gearbox. Other options are the same 1.0-litre engine with an extra 20 horsepower, and a six-speed manual gearbox, or a 7-speed DSG-auto, or a bigger and fizzier 1.5-litre petrol with 150 horsepower and the six-speed manual gearbox. There’s a 1.6-litre diesel engine with 95 horsepower and the five-speed manual, but it comes at a hefty premium, and unless you’re really doing big miles, I’d definitely avoid this. Pete also went for the sporty FR trim, which is one of six choices on the Ibiza. 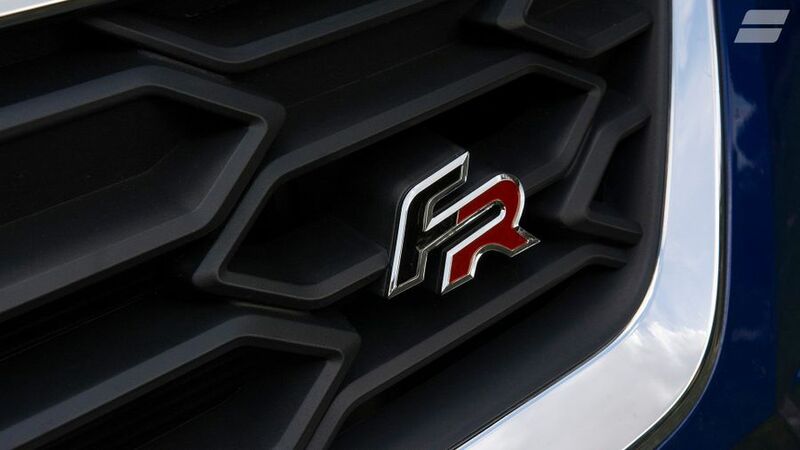 FR sits just below Xcellence at the top of the range, and gets you DAB, enhanced smartphone connectivity, ambient lighting, cruise control, rain sensing wipers, sports seats, and sports suspension. The base model, which is still pretty well-equipped is S, followed by SE, which is the most popular trim, SE Technology, and SE Design. I’ve got used to my little Ibiza now and it’s slotted in really well to my life. 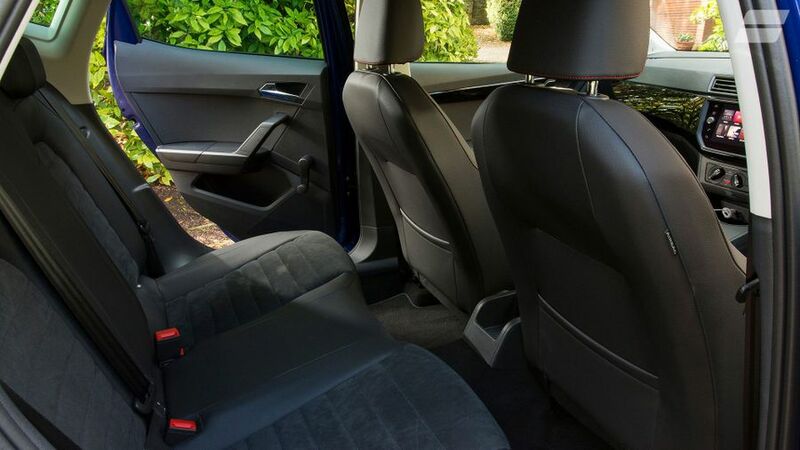 It’s perfect for driving around town, it can cope happily on a longer schlep up north, there’s plenty of easy-to-use tech, and when I’ve had five people in the car (including me, of course), everyone has had enough space and been comfy enough too. Also, WIND UP WINDOWS in the back. I love it. I feel like I'm in the 90s again. Seat is not alone here though... it's exactly the same situation in the Ford Fiesta and Vauxhall Corsa. They say sharing is caring, but in this case it’s a real shame I’ve only had my hands on the Ibiza for a couple of months. I feel like as I’m just getting used to it, back to Seat HQ it goes. But in those two to three months, I’ve still given it a good run. Between Pete and I, we’ve done well over 6,000 miles. In that time, it’s been wanted by the police (see update two! ), seen some lovely (and not so lovely) parts of the UK, and got Pete through the end of summer, and me through parts of winter. Pete could have done with the air con working better when the sun was shining (did that happen? ), and I could have done with a heated seat, steering wheel, and windscreen during one of the many freezes (that definitely happened). 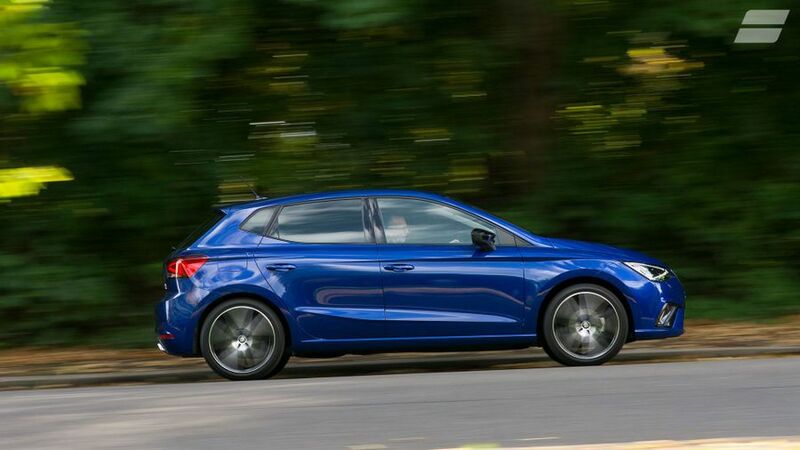 The Seat Ibiza is up against the UK’s best-selling car ever, the Ford Fiesta, and it really does give it a good run for its money. There’s so much to like about it! Overall the Ibiza is just great to drive. It feels light and agile, has plenty of grip, the steering is nicely weighted, and the gearshift is responsive and snappy. This car is in the sporty FR trim, which does have stiffer and lowered sports suspension. While you may feel one or two more bumps, it definitely doesn’t crash over potholes. Everyone seems to be a fan of the infotainment system. 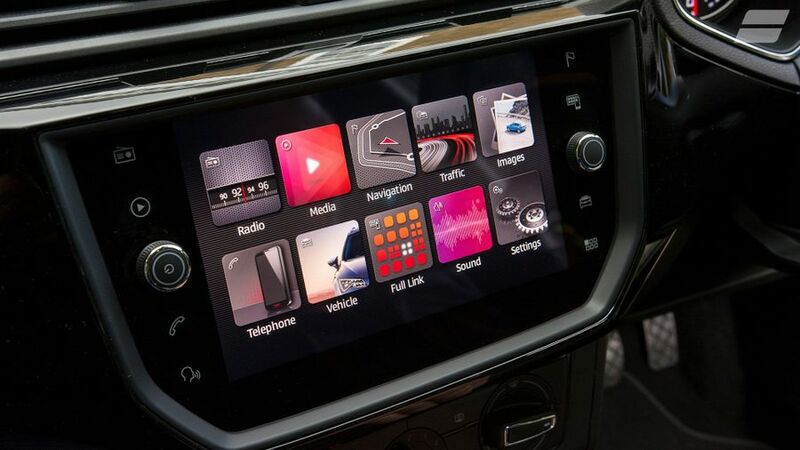 The 8.0-inch touch-screen is really easy to use, even while on the move, the graphics looks great, and it’s got DAB, Bluetooth, sat-nav and decent smartphone connectivity, which fortunately doesn’t freeze all the time. I could have done with a few more horsepower, but even with the 95 this car has, I’ve never had a problem pulling out into traffic, or keeping up with traffic on the motorway. The engine is flexible, and you get a decent pull from relatively low down in the rev range.